I’m obsessed with stripes. I never go out looking for them, but I’m constantly drawn to clothes with those black and white bands. Here’s the first of two looks using stripes as the focus. 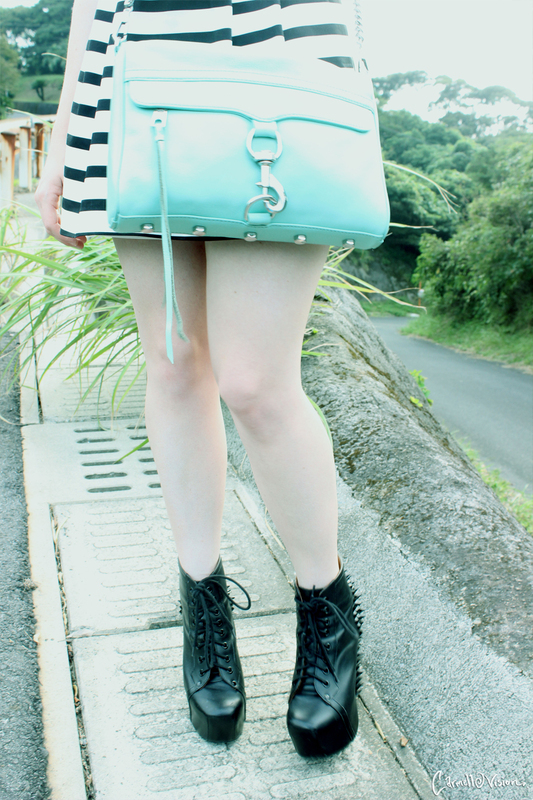 The first is a summery look, because here in Kagoshima, it’s still unbearably hot and humid. 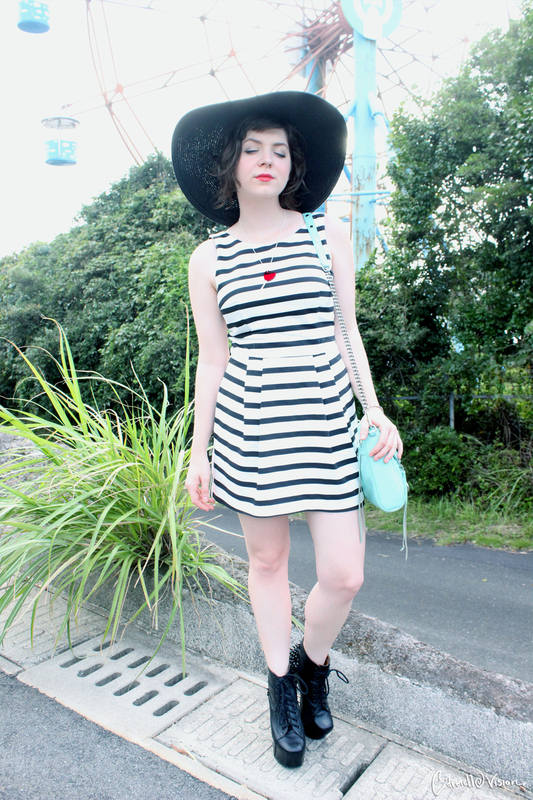 I paired this Zara playsuit (yes! It’s shorts!) 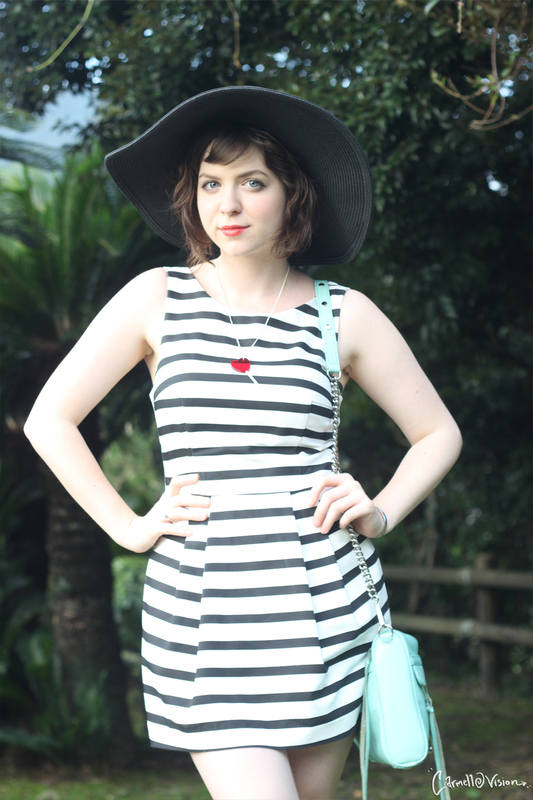 with an oversized Asos sunhat, Tatty Devine lollipop necklace, and a Rebecca Minkoff Mac bag. All made ever so slightly naughty with my Jeffrey Campbell spike Litas. That being said, I am so ready for warmer weather. I’m tired of bare arms and sweating. Stay tuned for a more fall ready look!